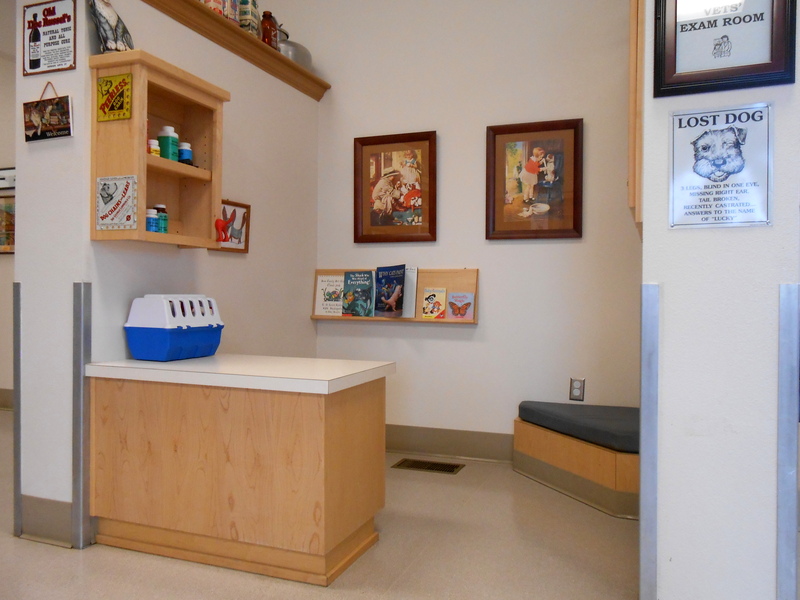 In our main entrance waiting area we have a fun space for children to play and learn. Our childrens play & learn area in the main lobby is perfect for kids to keep themselves entertained. We have a variety of books, toys, stuffed animals, and veterinary learning things for the kids. Fun, Fun, Fun!